All is not well in Anaheim. The Ducks blew a 3-0 and 4-3 lead to the Pittsburgh Penguins on Friday night in Anaheim to lose their 10 consecutive game, extending a new franchise record. “What do you mean? What are you trying to say? … What do you think? Don’t ask the dumb questions," replied Carlyle, as per Mike Coppinger of the Los Angeles Times. The Ducks last victory came back on December 17th against the Penguins in Pittsburgh and have since gone 0-7-3 over that span. The rumours of the Ducks relieving Carlyle of his duties in Disneyland have percolated during the streak. Kevin Weekes of the NHL Network mentioned a coaching change could be in the horizon, although general manager Bob Murray shot down those rumours to Ducks beat reporter Eric Stephens. The Ducks have blown back-to-back games where they've led after allowing the Ottawa Senators to claw back from a 1-0 deficit and pot two unanswered goals in a 2-1 overtime loss on Wednesday night. Sitting one point out of the second wild-card spot in the Western Conference, the Ducks will play ten of their next 11 games on the road, starting with a meeting with the Jets in Winnipeg on Sunday after notching just three points on a six-game homestand. The Ducks are averaging the second-least amount of goals per game in the entire league at 2.36 and have the lowest amount of shots per game at 28. 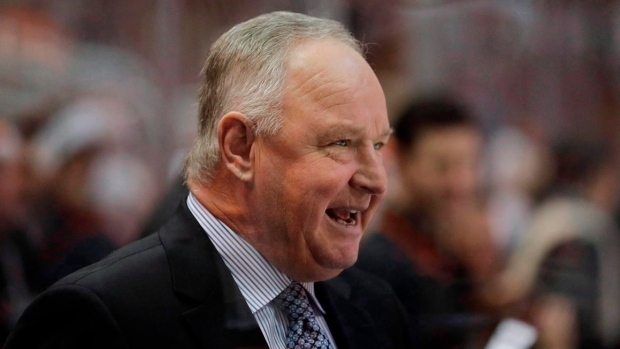 In his third season since being rehired by the organization, Carlyle's club is sporting a 19-18-8 record.